On March 7, Apple announced the iPad 3. "Look how shiny it is!" Apple's executives preached to a crowd full of cheering fans and press. "Retina display! Brand new graphics! You want one!" The pitch worked on me, and I bought one right away. Sure, it cost $600, but between the spectacular resolution, the impressive graphical capabilities, and the robust iPad-only app library, it seemed like a necessary trinket for gaming in 2012. I don't regret that decision. I've gotten a great deal of use out of Apple's glossy tablet. I've spent a whole lot of time playing iOS games—Kingdom Rush, Final Fantasy Dimensions, and many, many more—and used the iPad as a more-than-adequate substitute for my laptop when traveling or covering press events. But then. Surprise! Today, October 23, Apple revealed the iPad 4. "Look how shiny it is!" Apple's executives preached to a crowd full of cheering fans and press. "New processing chip! Double the graphics power! You want one!" Nowhere did Apple mention the iPad 3, the machine that was touted oh-so-passionately just seven months ago as the next big thing. Seven months ago. It's like a Simpsons parody of how often companies release new iterations of their hardware. Nobody expected this. We all expected the iPad Mini, maybe a new MacBook, but none of the rumor-mongers predicted a brand new iPad with improved processing speed and brand new graphics. There was no reason for anyone to not buy an iPad 3 last month, two weeks ago, or even yesterday—and in fact, a number of people noted to me on Twitter that they just bought the third-generation tablet. Now sure, this new iPad won't force me to get less enjoyment out of my current one. It won't suddenly explode or subliminally compel me to go throw it in a trash bin. I'll still have just as much fun playing games on my iPad 3 as I would on an iPad 4. But my new iPad is now one half-step closer to obsolescence. In 2012, game developers are creating software only for iOS hardware that is one or two generations old: most games you'd want to play on your Apple tablet will only support the iPad 2 or higher. Now that there's an iPad 4, we're even closer to a point where developers are creating software that can only run on its A6 processor. It's faster! It's more powerful! Gotta have it! Remember, this isn't like upgrading a PC. As a closed system, the iPad can't be upgraded or modified. People who bought the iPad 3 can't spend $150 to swap in new processors or beef up their graphics cards. We're stuck with what we got. Our iPad 3s—released, let me again reiterate, in March 2012—are now old news. And here I am still calling it "the new iPad." So if you dished out $500, $600, or $700 this year expecting to be able to show off the hottest new piece of hardware for at least a whole year, you're out of luck. 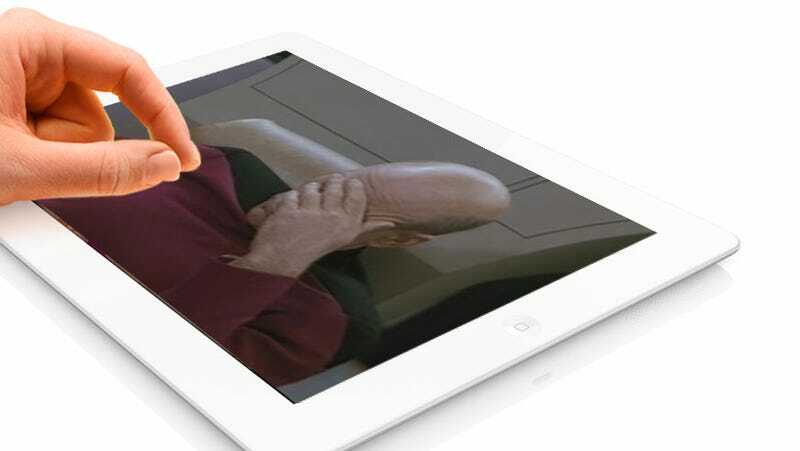 Apple claims that the iPad 4 is twice as powerful as the iPad 3. And god help you if you have an iPad 2 or—perish the thought—one of those useless original iPads (released, believe it or not, in April 2010—only two-and-a-half years ago). Seems like I'm not the only one who feels this way. In a poll on Cult of Mac, some 1,500 people (so far) said they're pissed that their iPad 3 is "now obsolete." And I bet the number is significantly higher than that—as Apple themselves bragged today, they've sold 100 million iPads so far. Close to 45 million this year alone. I've never understood some folks' fervent obsession with Apple, and I certainly don't expect the iPad makers to look out for my or any customers' interests. But I also don't expect my ridiculously-expensive new hardware to feel stale after only half a year. How could I not feel like a chump?